These pork and apple burgers are perfect for a summers evening. 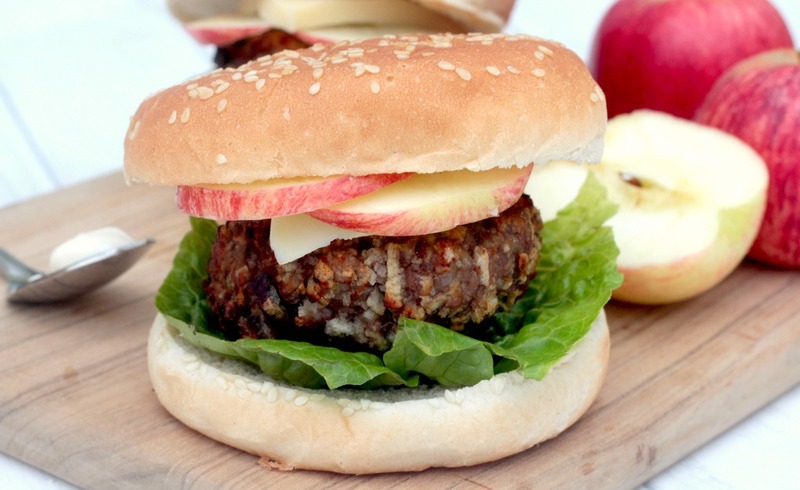 They are lighter than a traditional beef burger and taste lovely and sweet with extra apple as a topping. I haven't tried it myself yet, but whilst writing up this recipe I have thought that it would go really well with a glass of cider. 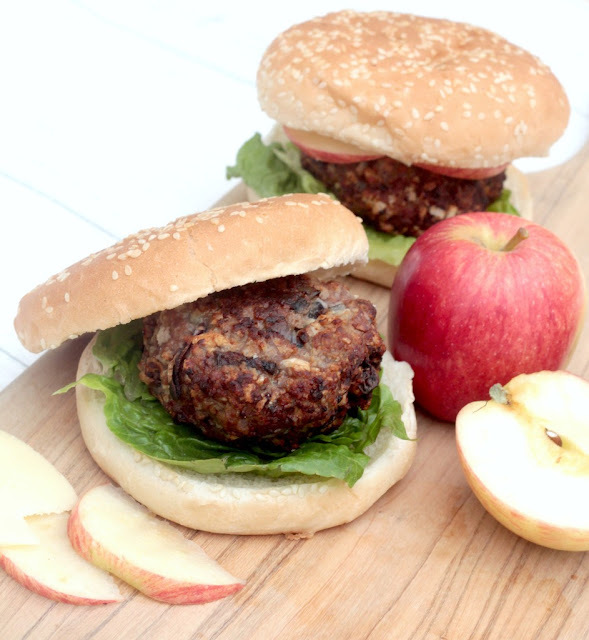 As an added bonus, these pork and apple burgers are easy to make and you can get the children involved. I have used panko breadcrumbs in the recipe as I find them handy to have in the cupboard and have never needed to use egg to bind them together as well. Of course if you don't have panko breadcrumbs, fresh bread will do. However the older it is the better. When I make these for the boys, I like to top them with fresh apple and edam cheese. I am not a big fan of tomato ketchup so a small dollop of BBQ sauce and mayonnaise would be my preference. Start by peeling 2 small apples and then grate each around the core. Mix the pork, breadcrumbs, grated apple, dried sage and red onion together. Divide the mixture into burger portions. I made 6. Roll them into a ball and flaten. Fry for a couple of minutes on each side and then transfer to a baking tray. Cook for 15-20 minutes. Top with sliced cheese and fresh apple, light mayonnaise and lettuce.